During late summer and autumn your tree has done most of its growth. Translocation of the insecticides is more even throughout the canopy during this period. Tree injection in the later part of the season has greater overall persistence. Other benefits such as elimination of beetles prior to hibernation greatly reduce insect pressure in the following season. 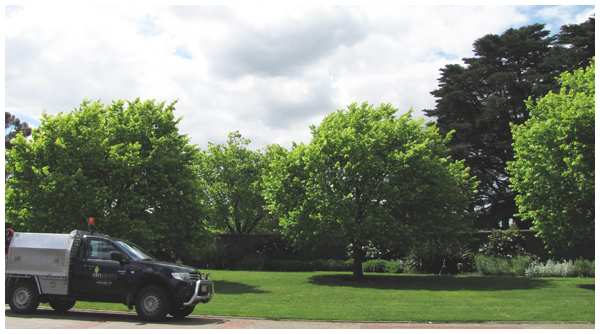 Treat your trees in late summer and autumn to see optimum results next spring. 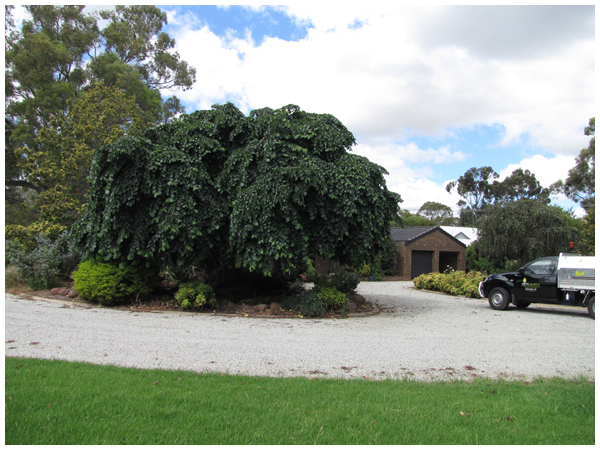 Weeping elm in Maoma, NSW.